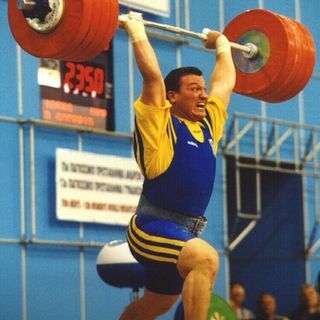 Ruslan Nurudinov has lfted what most would consider extremely heavy weight more consistently than any other 105 since the inauguration of the weight class in 1998. Denys Gotfrid was not only a Junior World Record holder, but also the first 105 of the modern era to total 430kg. weightliftinghouse.com - books, bars, Why Be Normal?